There have been a lot of pretenders peddling third party Switch controllers since the console launched in early 2017, some decent, some pretty terrible. 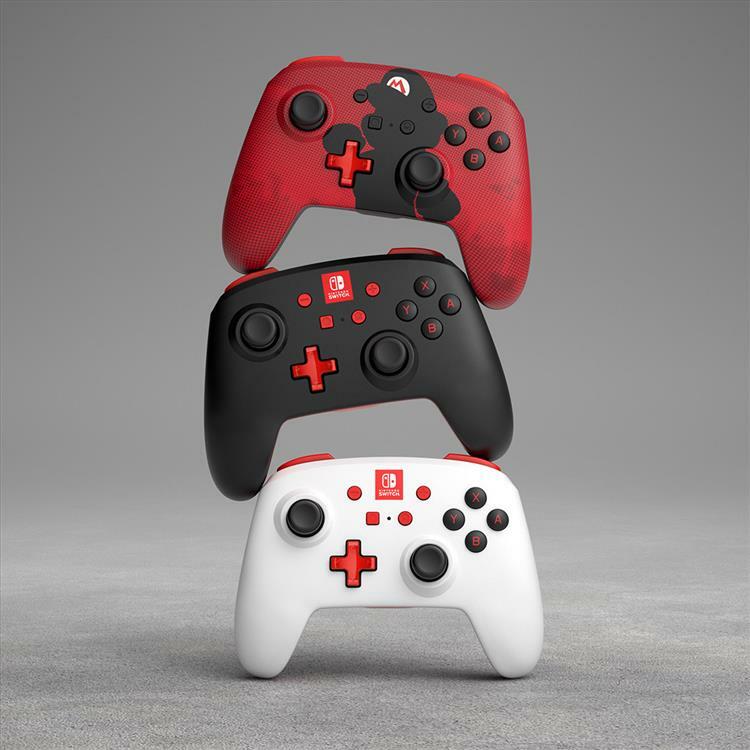 That said there haven't been any officially licensed options yet, so if you wanted to buy with complete confidence you were stuck forking over $70 for the (admittedly great) first party Switch Pro Controller. Power A is adding a new option to the mix. They've produced licensed peripherals for Nintendo in the past--I quite liked their Wired Fight Pad for Wii U--so it's a natural fit that they would make something for Switch that carried Nintendo's official o-k. Their upcoming Enhanced Wireless Controllers offer most of the same functionality as the Switch Pro Controller but retail for the more reasonable $49.99. The Power A Enhanced Wireless Controller pairs to Switch through Bluetooth 4.1 so you avoid the typical third party USB dongles. The new pads also have programmable buttons on the bottom grips and center, and motion controls for aiming in Splatoon 2 or Breath of the Wild. The only thing that I didn't see in Power A's press materials was force feedback; nothing about HD rumble or even basic vibration. This is probably why the Enhanced Wireless Controller is 20 bones cheaper than the real thing, and there are probably some patent issues to work around but it would be a nice feature to have. In any case the Enhanced Wireless Controller sounds like a feature-rich alternative to the first party product. I'm also drooling over the GameCube-style version that Power A is teasing; no doubt it will make Smash fans pretty happy this holiday. You can pre-order both of these products at most major websites and retailers, and they'll arrive later this fall. There is now a more affordable wireless controller option for Nintendo Switch, available in a variety of colors and designs. PowerA today announced its new fall lineup, including Enhanced Wireless Controllers, the first officially-licensed wireless Switch controllers on the market!